We know it’s a lot of work to become the teacher’s favorite student but these gifts make it look seriously easy. Sharpen your pencils and get ready to take some notes on our favorite gift picks! Trust us. Teachers love snacks as much as the kids in the classroom! With this gift, you’ll also proudly announce you “study hard” for each and every exam. What you’ll need: a cylindrical beverage glass, 20-25 pencils, 5 rubber bands, and flowers. What you’ll gain: endless respect from your teacher for making this super cool DIY pencil vase. 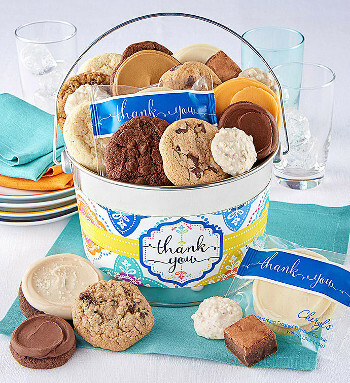 With a delicious flower pail of cookies, you’ve just safely secured the most coveted position in the classroom. Brighten up the classroom (and your teacher’s face!) 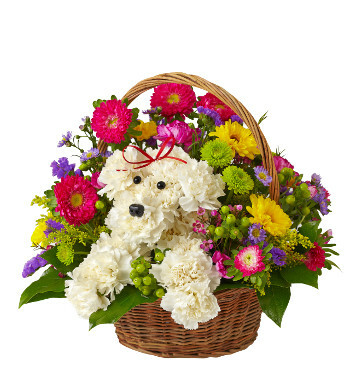 with a hand arranged bouquet in a reusable vase. What is better than a trophy recognizing your favorite teacher? 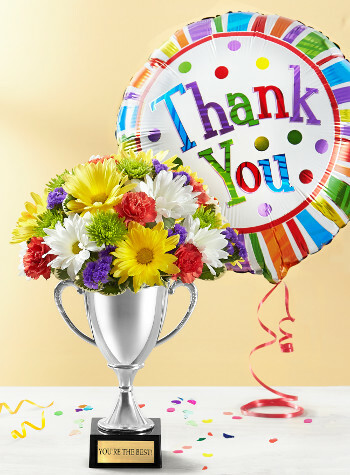 A trophy with flowers inside! Your teacher will love these DIY notebooks, perfect for writing lesson plans and other notes. At this point there is no competition for teacher’s pet; you’ve already clinched that spot. 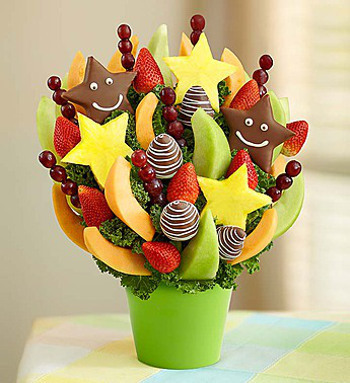 Fruit Bouquets always get an A+ in the break-room. And, not only will you impress your teacher/professor but also the entire school staff!